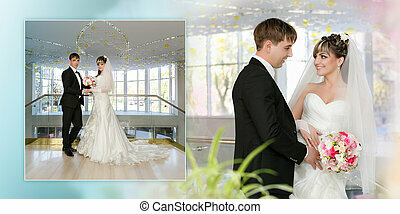 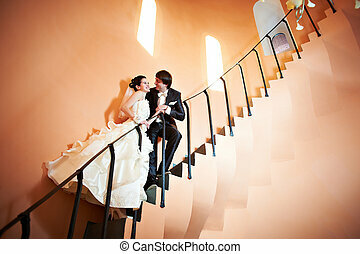 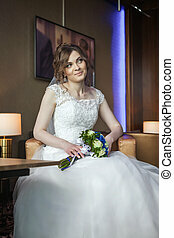 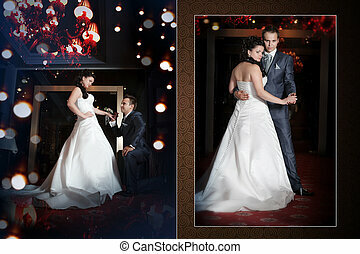 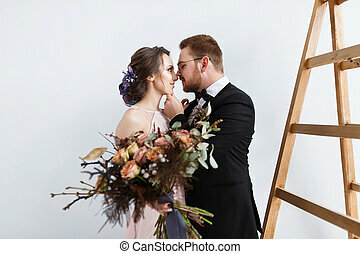 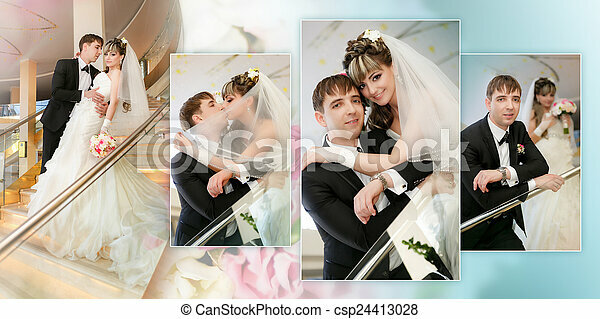 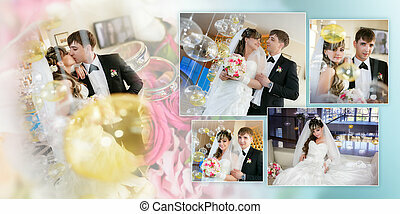 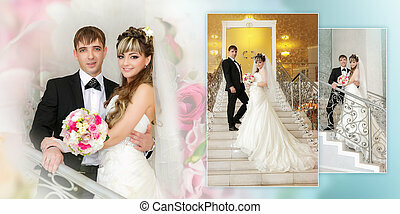 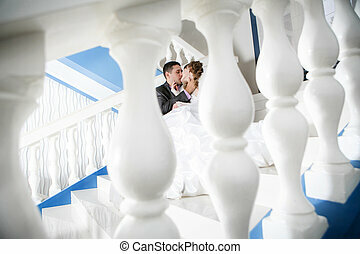 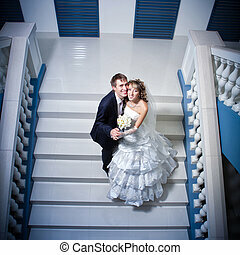 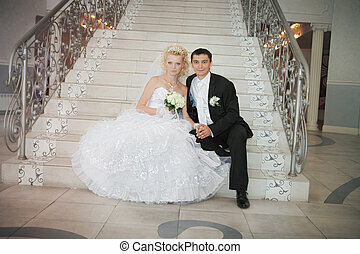 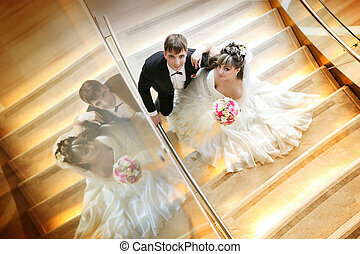 Collage - happy bride and groom on ladder at hotel. 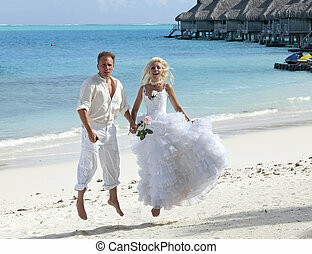 The groom and the bride on the tropical beach jumps at sea edge. 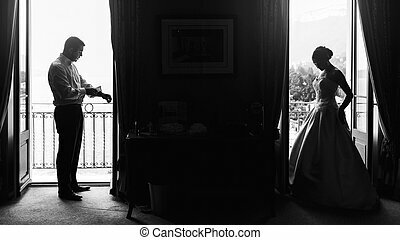 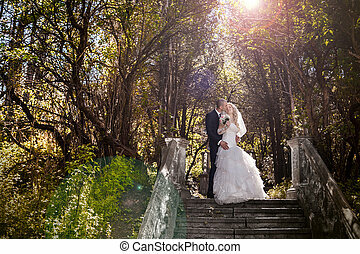 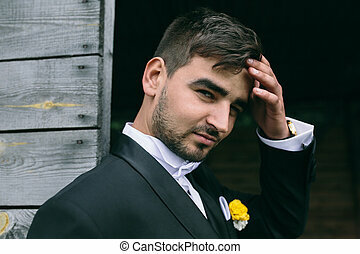 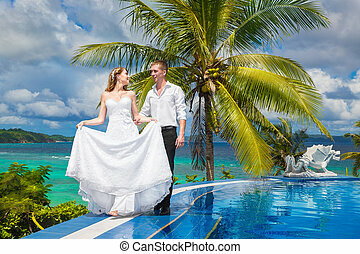 Beautiful bride in wedding dress with long train and groom standing at the infinity pool in the hotel on a tropical island. 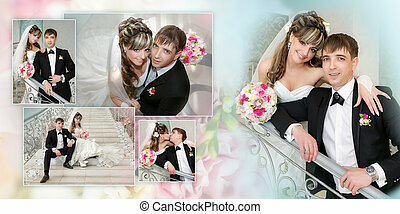 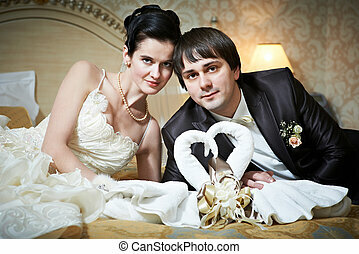 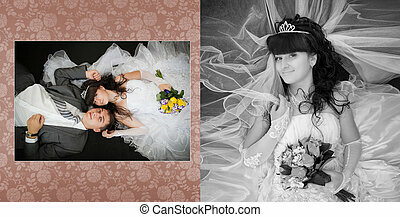 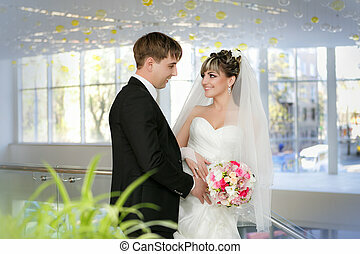 Wedding and honeymoon. 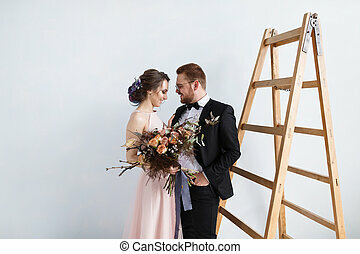 happy bride and groom on ladder at wedding walk.